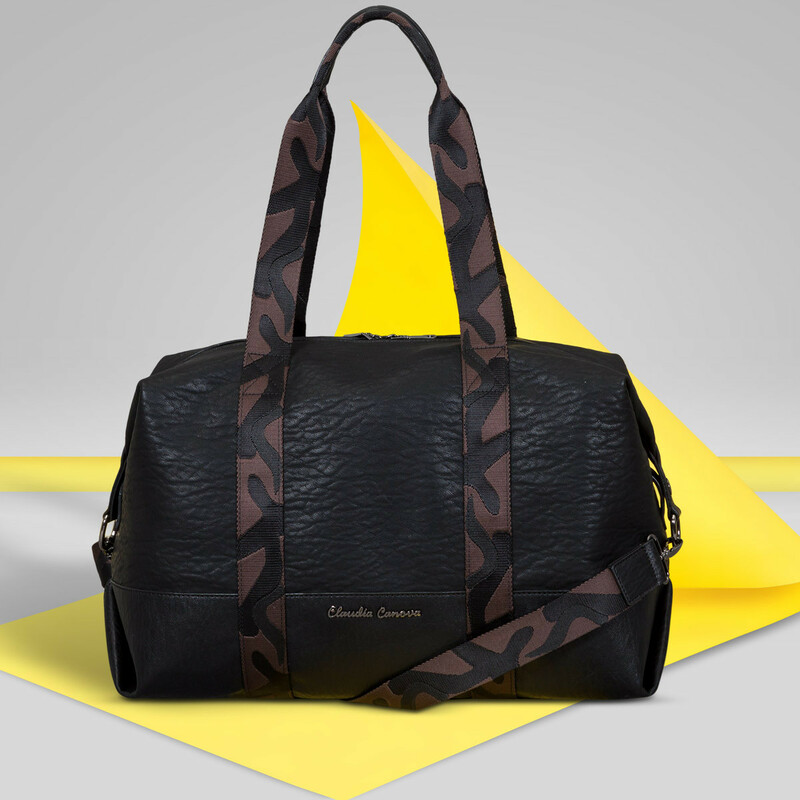 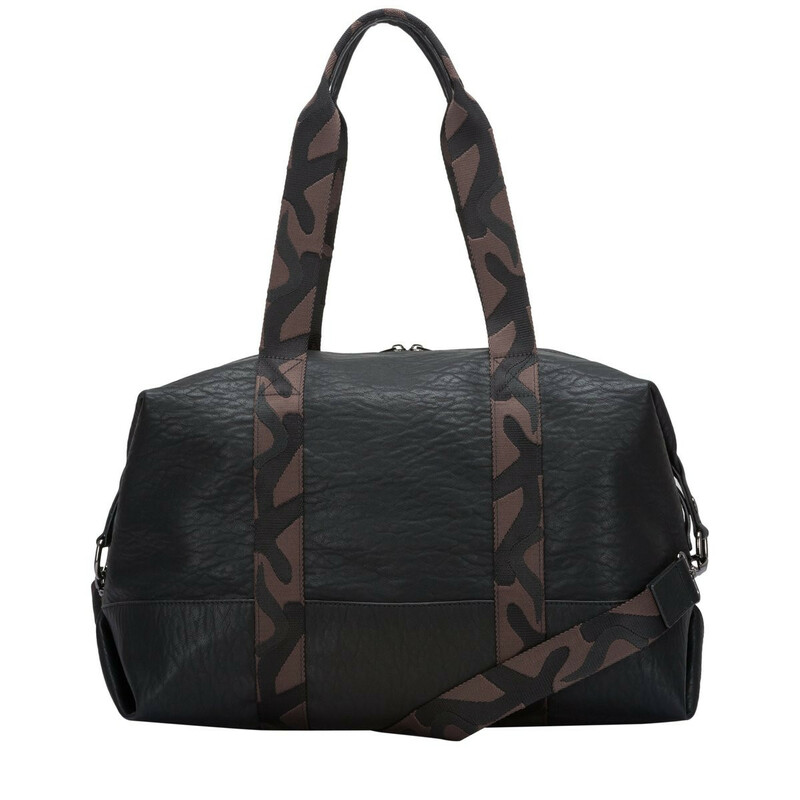 Sporting both smart and casual, the Karma Slouch Holdall will add some major style points to your look. 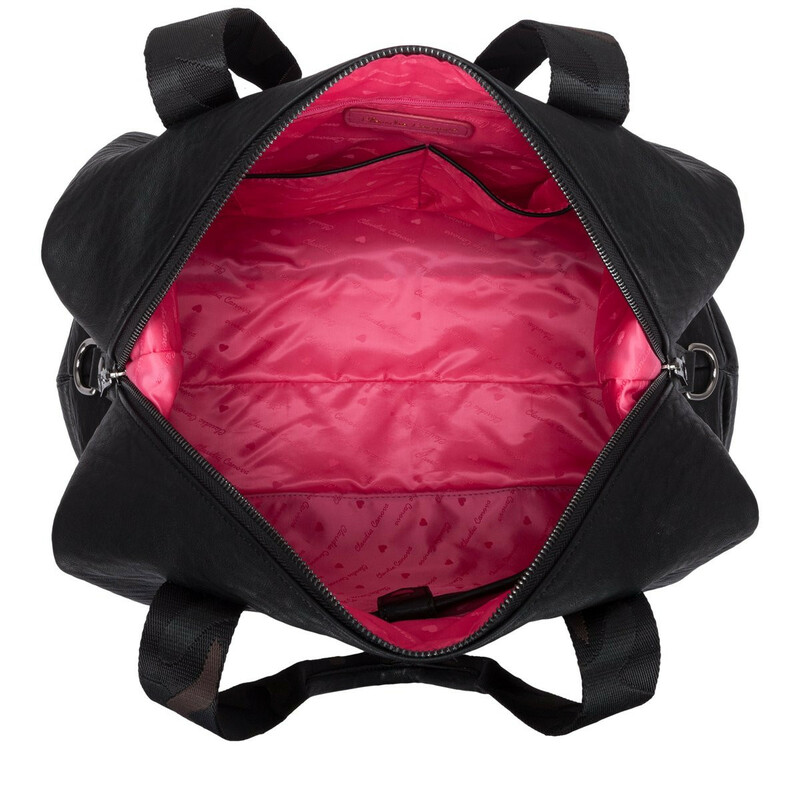 The practical twin grab handles and adjustable shoulder strap, adds versatility and comfort for all your traveling needs. Other features include the Claudia Canova gunmetal script logo, and contrasting camo design. 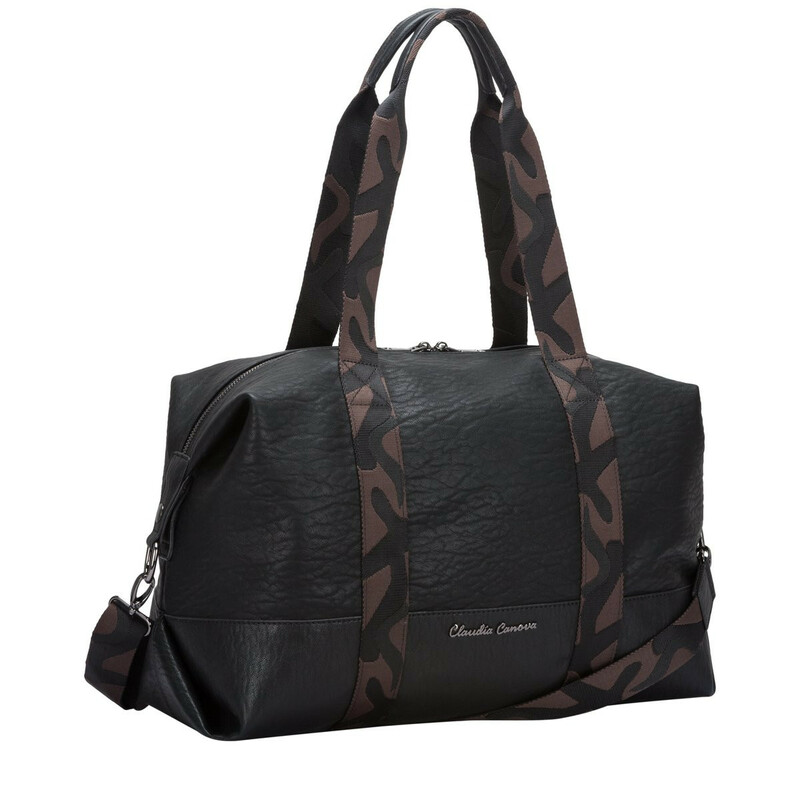 The zip top opening reveals the Claudia Canova branded lining and zip and slip pockets, for added storage for your weekend away.